Listen to a message from Wiz Khalifa or Rae Sremmurd and wait for the beep to record your 30 second message. 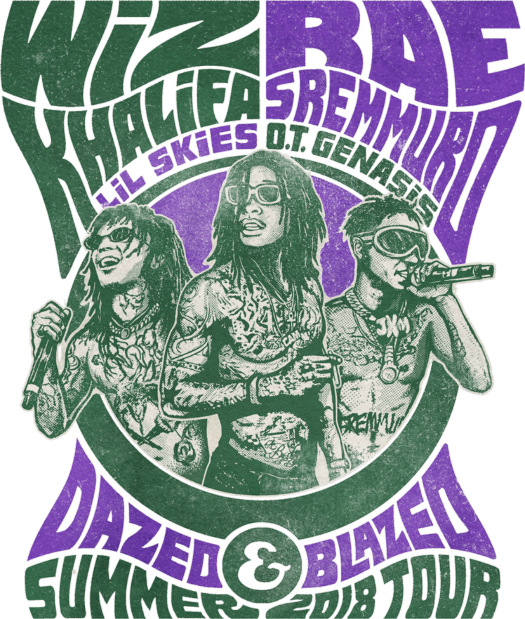 By calling or sending a text message, you authorize us to use automated technology to send messages to the number you supply and to share your information with Wiz Khalifa, Rae Sremmurd and our partners. Your consent is not a condition of purchase. Msg & data rates may apply. Check your mobile carrier for rates. Available on participating carriers only. Text “STOP” to +1 (412) 436-3921 to opt out (confirmation email will be sent) or “HELP” to +1 (412) 436-3921 for more information. You will receive one auto-dial call in response to your text and you will be able to leave a message after the beep. You will receive up to eight text messages or auto-dial calls per month from an automated system with event information and offers. Something went wrong. Please check your information and try again. Thank you for entering to win! You will be hearing from us shortly!